Should Billy Burns Stop Switch-Hitting? As hard as it might be to believe right now, Oakland front office asked center fielder Billy Burns to consider ending the switch-hitter experiment and bat solely from the right side when they acquired him. “It was presented as an idea, and it wasn’t something they wanted to do during the season,” Burns admitted, but they did mention it. And it makes a little sense, since Burns came to switch-hitting in professional ball, and he slugged about 20% worse from the left side in the minors. What’s the strangest about this revelation is that Burns has been so good from the left side in the major leagues so far. And though batting average on balls in play is complicated, and small-sample results aren’t any better when you’ve cut them in half, there might actually be some evidence that Burns is a better hitter from the left side. His approach from that side fits his tools better. Maybe the Athletics were right. Maybe Burns should stop switch-hitting. Maybe he should only hit from the *left* side. Take a look at batting average on balls in play. You can see Burns is currently in the top 15 in BABIP. 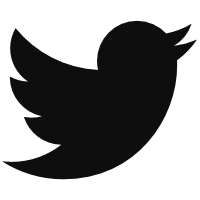 Now sort for hard-hit rate… from lowest to highest. Nobody hits the ball softer than Burns. It’s easy enough to fall into a quick trap and say that Burns doesn’t hit the ball hard enough to keep that BABIP. But the million-hopper to short? That ball is often hit softly, and that’s an infield hit for Burns. 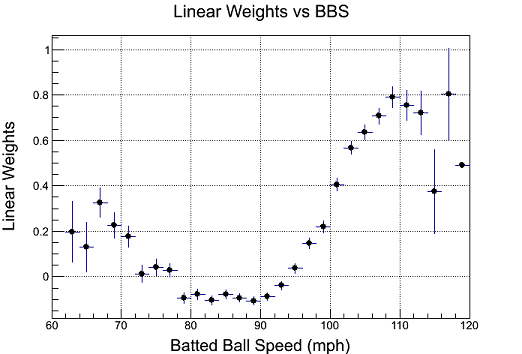 Take a look at this great chart from baseball physicist Alan Nathan, which shows batted ball speed against outcomes. See how the softly-hit balls get some good outcomes? There’s your dribbler, your ducksnort, your infield hit. Being different against pitchers of different handedness is not a recommended practice generally, but in this case, there could be a road map for Burns in the numbers. Because look at what he’s doing. He’s hitting the ball softer, yes, but he’s going oppo more, hitting the ball on the ground more, and getting more infield hits when he faces righties. It’s all a product of his newness to batting lefty. “I started switch-hitting my first full season in pro ball,” Burns said. “That was my first time hitting lefty. My muscles aren’t as strong there, still, even though I’ve been hitting way more lefty for the past few years because there are more right-handed pitchers.” So his less-developed muscles are leading to a better approach for Burns. Take a look at the leaders for infield hits, and then subtract out anyone with league average power or better, and you’ll see quickly that there are archetypes for this sort of tools package. You’ll also notice that Burns is hitting the most pop-ups on that list. He knows all about it. “Don’t get discouraged if you pop the ball up a bit,” is what Burns says he hears from his hitting coaches. But it does leave you to wonder. Maybe if they asked him to focus on hitting righty instead of lefty, he would capitalize even more often on all those softly hit opposite-field ground-balls. Maybe he would hit fewer infield fly balls, eventually, since he hits more grounders that way. His added patience, power, and contact from his natural side are currently making him more valuable from that side by overall metrics, but if he could iron out those pop-ups by being more like he is from the left side, he might see a great benefit. Currently over 7% of his balls in play are ending with an automatic out, which is seventh-worst in baseball, on an unfortunate list populated otherwise by power hitters. “It’s kind of interesting how it’s worked out though,” says Burns of doing so well from the left side as a major leaguer. Maybe he should learn from it and be more like that side of himself. Or maybe the player and the team should just enjoy this interesting quirk that has worked out so well for both of them so far. We hoped you liked reading Should Billy Burns Stop Switch-Hitting? by Eno Sarris! Supposedly Billy Hamilton is also considering dumping the left side during the off-season as well.